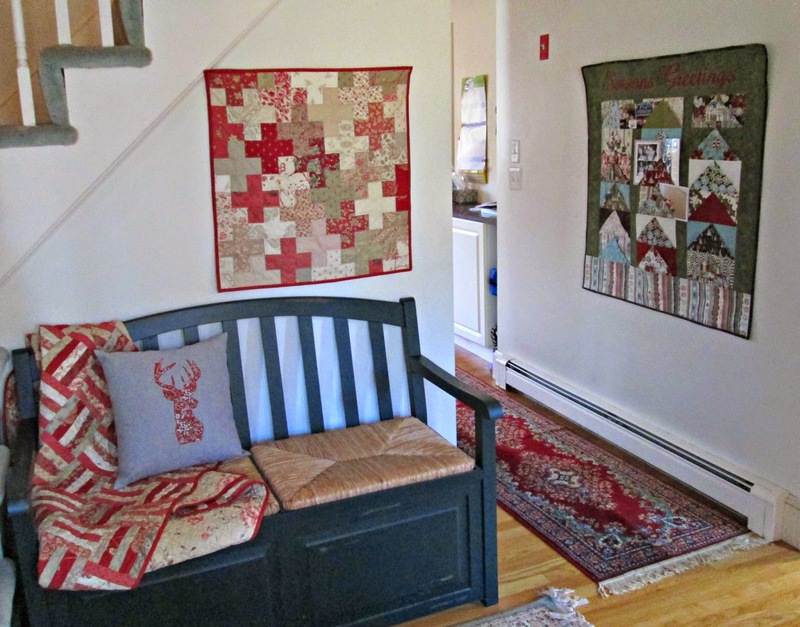 I know I shared my foyer with my latest Oh, Deer pillow but I realized some of my holiday decorations predate my blog. Also in the foyer is this Figgy Pudding card holder. I love watching it fill with holiday cards from all our friends and family! 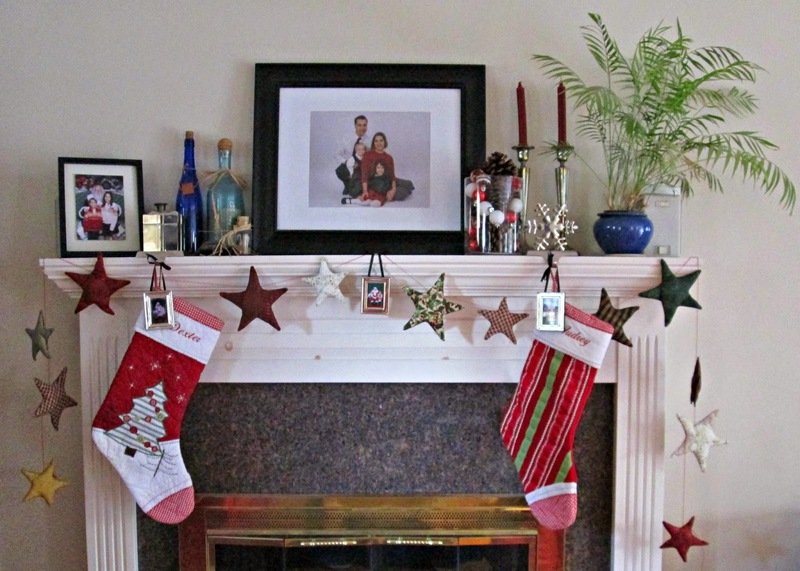 For the mantle I always hang my Holiday Stars Garland along with the stockings (which are from Pottery Barn, the shame). And when you have a table runner you love but no longer need for your dining room table you obviously turn it in to a bench cover. 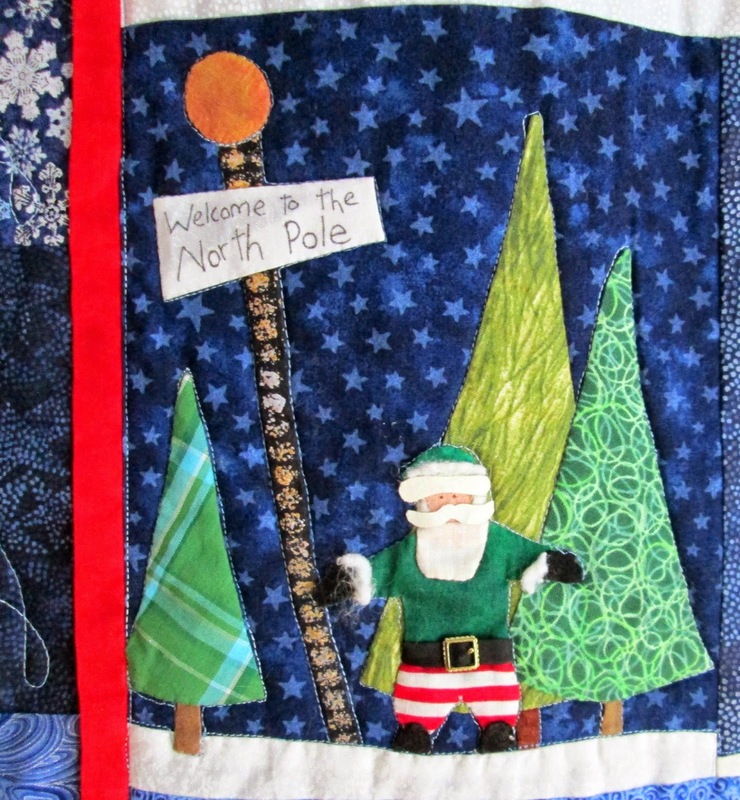 But my absolute favorite decoration is this Welcome to the North Pole quilt by Piece o Cake. 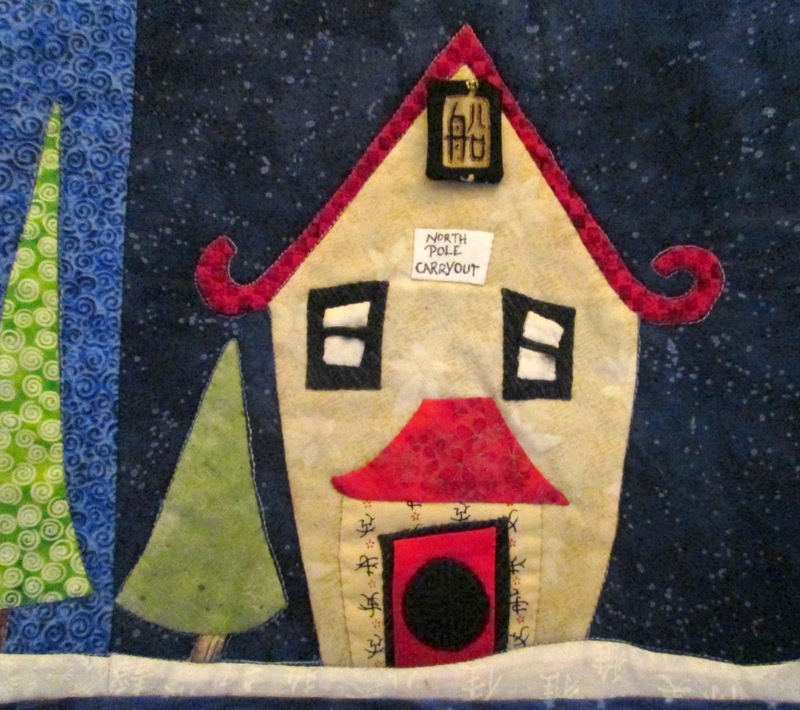 This is entirely hand appliqued though I did machine quilt it. 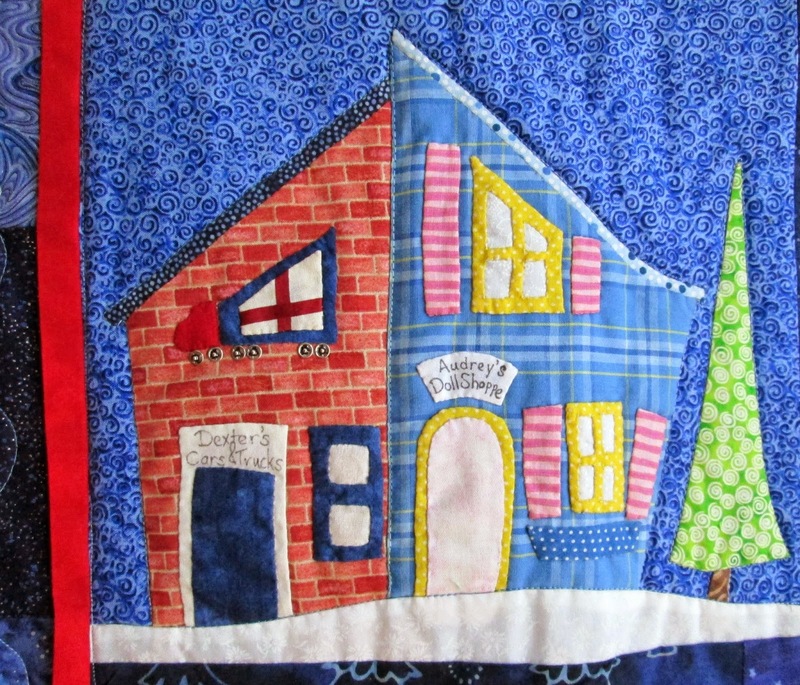 I love all the tiny details and embellishments I added. Santa has a real belt buckle and fur cuffs. and realized this building really should be Chinese takeout! 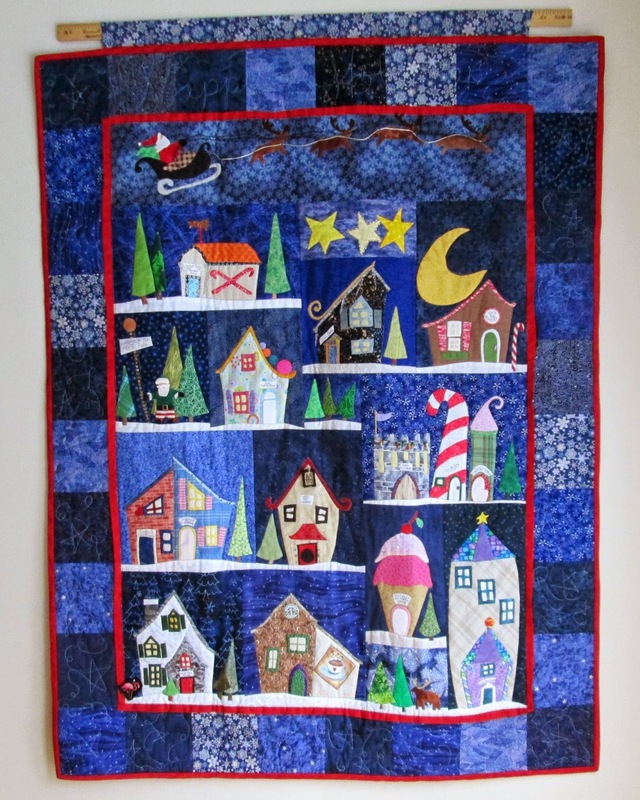 This isn't something I would ever make now but I love to see it hanging for the holidays! 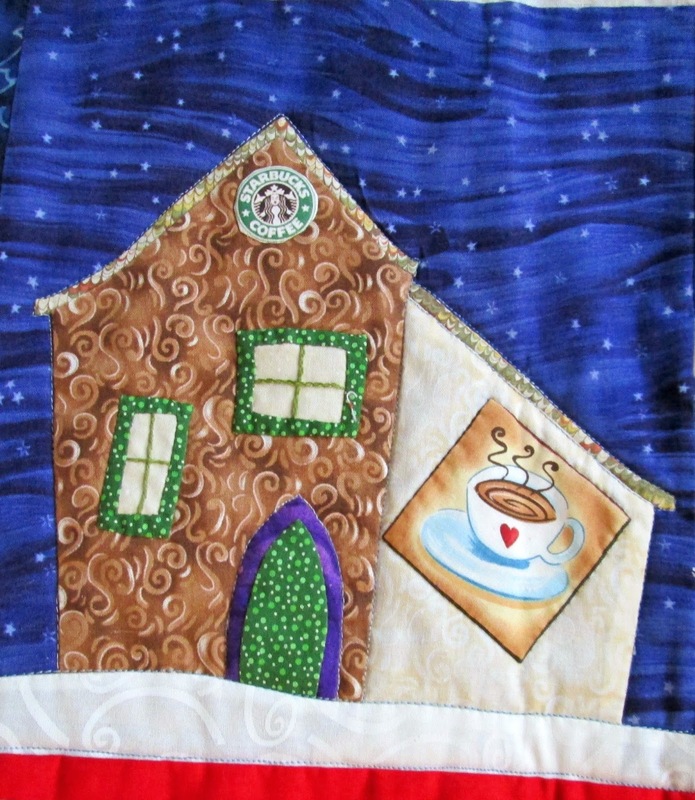 What is your most treasured holiday decoration?